Gigi Hadid was modelling for Tommy Hilfiger at this week’s Milan Fashion Week, and used the event to promote a third watch that she has put her name to for the fashion brand. 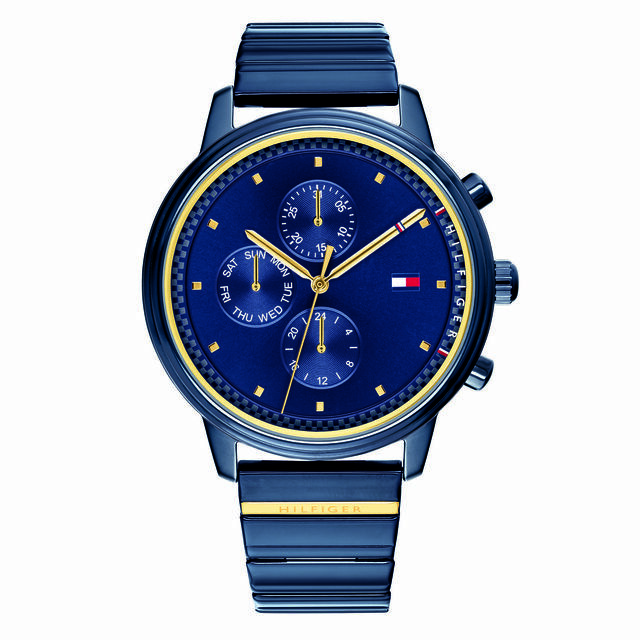 The Tommy Hilfiger x Gigi Hadid watch has a high-shine midnight blue case and strap. Its blue dial has gold hands with red white and blue detail. The watch is fashionable, but not a slave to the modern trend for connectivity. Ms Hadid says she likes to unplug and leave her 38.6 million Instagram followers behind. “I especially like [wearing a watch] during the times when I don’t have my phone,” Ms Hadid told Harper’s Bazaar.